Minimise the chance of damaging teats and udders, or risking poor plant performance resulting in grades from your milk processor by correctly setting up your milking plant. The milking plant is at the heart of the milking process, and understanding the basics of how the system works is helpful for anyone milking cows. Do you want a basic overview of the milking plant? 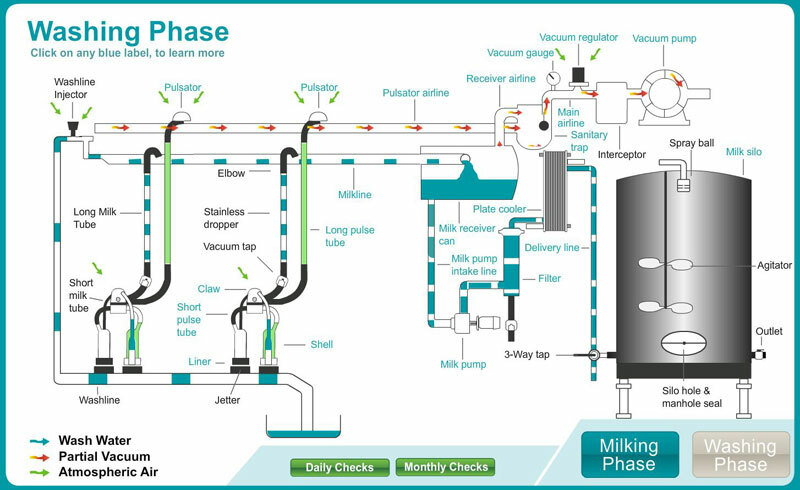 Click the milking plant image and take our interactive milking plant tutorial to see how the milking plant operates. Improve your farming system with clear policies and procedures. The average New Zealand dairy farm spends over $20,000 a year on electricity. Find out how efficiently your dairy shed is running, you could be surprised.